Last year my bro, Peru 143, organized a fundraiser where he collected a bunch of skate equipment n took it to poor skaters in Cuba that have difficulties getting that stuff. This yeah our mutual friend Betty Esperanza is going back to Cuba and taking the leftovers of that collection. Because of this she got an article in the Gazette (Montreal's main newspaper) talking about this charity. Unfortunately they names me as the main man behind the collect!! I donated a bunch of wheels, but it was Peru who deserves the props. 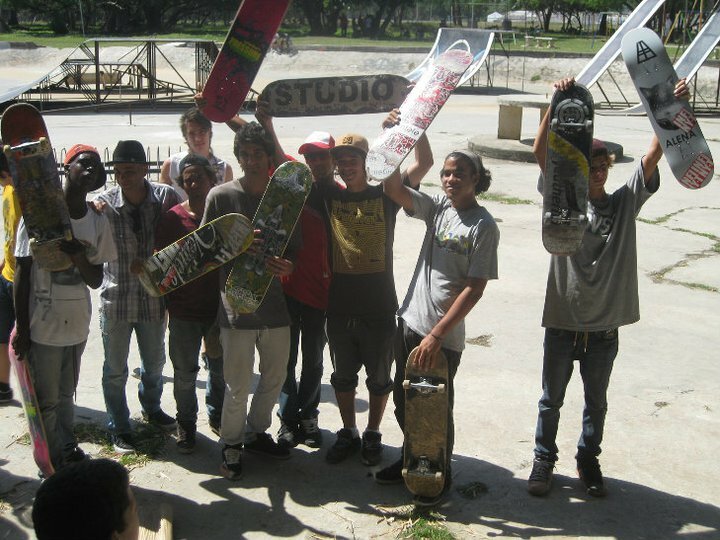 ANyways, you can check the article here: http://blogs.montrealgazette.com/2011/12/22/havana-bound-mtl-photographer-giving-skateboards-to-cuban-kids-this-holiday-season/ .